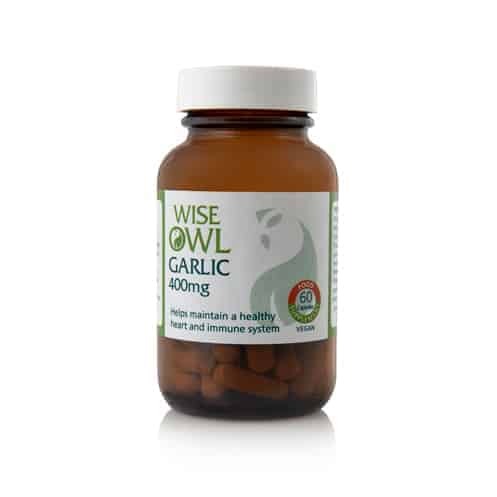 Wise Owl’s whole garlic capsules are suitable for the whole family. Our pure powdered, whole garlic capsules are high in Allicin. Suggested dose is 1 to 2 capsules daily, so this is a 1 to 2 months’ supply. Wise Owl’s organic garlic capsules are suitable for the whole family & have been certified organic by The Soil Association. Our pure, powdered, whole organic garlic capsules are high in Allicin. 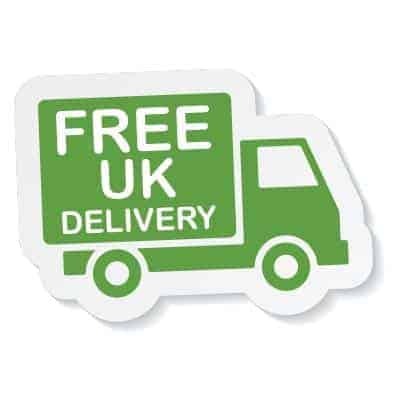 Each capsule comprises 400mg of organic garlic powder that is free from live yeast. Garlic (Allium Sativum) has generated much interest in recent years, although it has been used since ancient times. It is full of antioxidant compounds & may help maintain several of the body’s vital systems including the immune & cardiovascular systems. Research has also shown it may help maintain normal fat metabolism. Garlic contains potassium, phosphorus, B vitamins, C vitamins & many sulphur-containing compounds & amino acids. Garlic contains potassium, phosphorus, B vitamins, C vitamins and many sulphur-containing compounds and amino acids. It is full of antioxidant compounds and may also help maintain several of the body’s vital systems, for example the immune and cardiovascular systems. Research has also shown it may help maintain normal fat metabolism. Our pure, powdered, whole organic garlic capsules are high in Allicin. Wise Owl's whole garlic capsules are suitable for the whole family. Each capsule comprises 400mg of garlic powder that is free from live yeast. Garlic (Allium Sativum) has generated much interest in recent years, although it has been used since ancient times. Suggested Intake: 1-2 capsules daily with food, or take as directed by a practitioner. Ingredients: Organic garlic powder, capsule shell*: vegetable cellulose.